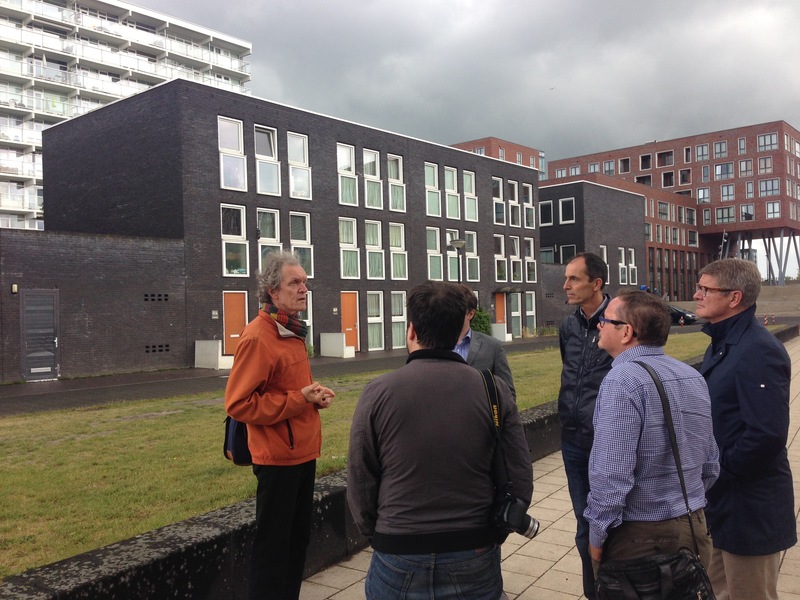 As part of ongoing research related to the Tower Renewal project, ERA’s Graeme Stewart and Michael McClelland, with project partners Evergreen Cityworks and planningAlliance, recently toured the Netherlands and Germany. Touring built projects, construction sites, and meeting with planners, engineers, architects, city administrators, and even a Dutch Senator, the team witnessed Europe’s cutting edge in tower refurbishment and neighbourhood design. Moreover, they met with new project partner Transsolar, global experts in technical solutions for the low energy retrofit who are bringing their expertise to Toronto’s towers. Read project partner John Brodhead of Evergreen Citywork’s trip summary below. The National Film Board‘s HIGHRISE produced Living Proof, an online documentary which can be found below. A brief report on EU Tower precedents produced for the Province Ontario can be found here. The EU Precedent Chapter from the Tower Renewal Opportunities Book can be found here. Photos of various EU precedents can be found here.